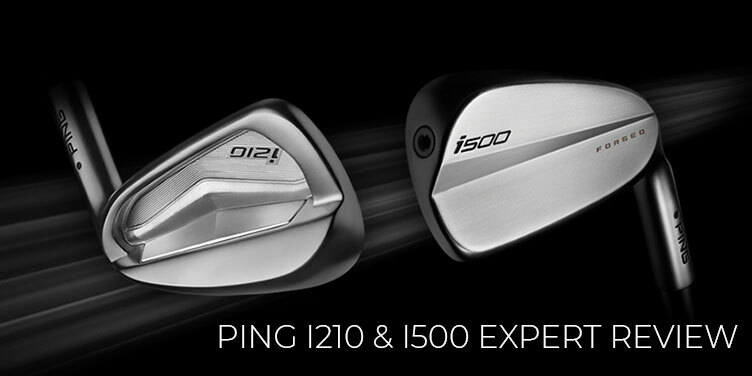 Ping has debuted their most recent additions to the Ping family, the Ping i210 and i500 irons. Let’s take a deep dive into each club’s unique construction and performance abilities in our review below. The Ping i210 irons are players irons and an evolution of the Ping i200 irons. Featuring a larger custom tuning port, the insert is 30% larger and filled with an elastomer that is 50% softer. Ping says the result is 25% more face contact and a smooth feel through impact. A redesigned leading edge and sole combine with a more compact shape and minimal offset to deliver enhanced turf interaction and a high-end look that appeals to better players. 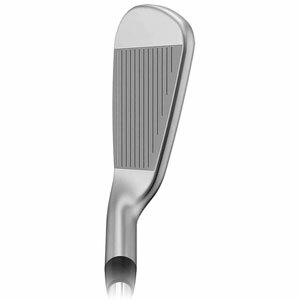 The i210 grooves are precision-milled for machine like accuracy and consistency, and the pitching wedge and U-wedge emulate the precision grooves of the Glide 2.0 wedges. 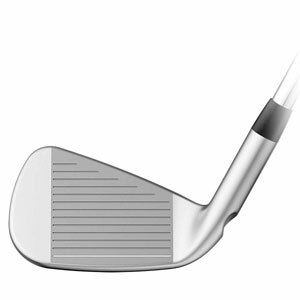 Sharper edge radius and tighter groove spacing assists in preventing fliers in the scoring irons. 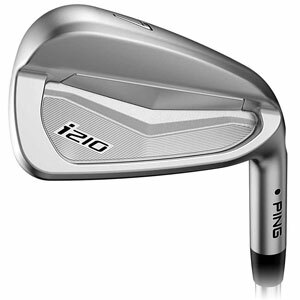 The i210 irons are gamers and designed for better players, but I believe players trending towards a single digit handicap will find these a very nice offering, too. + to 14 handicaps. Wow, there is a ton to like about the Ping i210 irons! I had a confident feeling from the moment I looked down on the i210s at address. The Hydro-Pearl 2.0 finish looks clean and smooth, but also like it will hold its finish for a long time. A white bottom line stands out against the Hydro-Pearl finish and helps to align the face at address. The longer, mid-thickness top line has a classic look to it and gives the toe an almost boxy appearance. While the sole is not as narrow as a true blade’s, the leading edge is both defined and rounded which creates a nice visual at address and interaction with the turf through impact. The feel and feedback are excellent. I knew exactly where I hit the ball and shots on the sweets spot were incredibly smooth. In addition to improving feel, the elastomer insert removes any vibration or clicky sound that cavity backs can produce. I had no problem producing a repeatable slight draw that launched effortlessly. A shortened follow-through produced a flighted down ball flight without much hassle. These irons are smooth.0 and worth a serious look if you’re in the market for a new gamer or a step up from your current game-improvement set. You aren’t going to find outrageous distances or maximum forgiveness from the midsized i210 clubhead, but you will find a consistency in distance, performance and feel in the highest order. I may have a real decision to make when my irons are up for replacement. Ping has always offered a wide variety of irons for players of all abilities and the Ping i500s rank in the player’s distance iron category. A hollow blade construction, the i500 has a muscle back appearance. 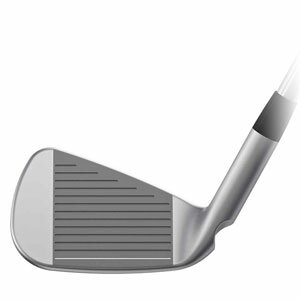 Featuring a forged C300 maraging-steel face (same material used in the G400 fairways and hybrid clubfaces) it is combined with a 17-4 stainless steel body to give players added distance and increased trajectory with greater stopping power. Just like the i210 irons, the Ping i500 irons have precision-milled grooves and the HydroPearl 2.0 finish that top off this set of irons that will see you hitting your irons further than you have before. 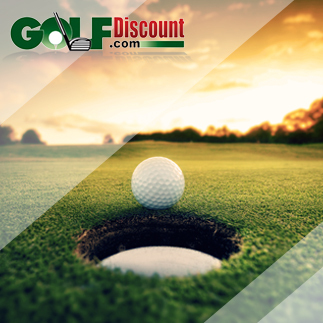 This set of irons has a wide range of uses and depending on your skill level may see one, two clubs or the full set in a players bag. Better players may combine the i500 long irons with the buttery-smooth i210 mid and scoring irons, while players who have lost a bit of distance could put the entire set in their bag. + to 16 handicaps, depending on use. 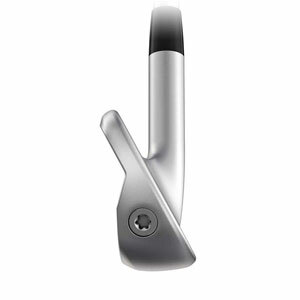 The first thing I noticed about the Ping i500 irons was their super-clean looks. Only a brand and model stamp are seen on the back of the iron head, and a larger toe-weight club and a nice white paint fill in the bottom groove add a bit of style to these blade-like irons. They do, however, feel like there is a bit of bulk when simply looking down at the club at address. The mid-top line and mid blade-length give these irons an overall confidence-inspiring appearance. I hit these irons two times during my hitting session, at the beginning and in the middle, once I was fully warmed-up. I found with an X100 shaft I really needed to be warm and convicted in my swings to get these irons to truly perform, but once I did, the results were a long, high carry. I found no difficulty drawing the ball or flighting down the trajectory on-demand. 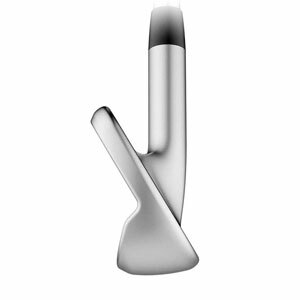 It is safe to say that the i500 irons are about 1 club longer than the i210 irons. This was confirmed when I briefly used a GC2 launch monitor to see the average distances for both the i210 and i500. 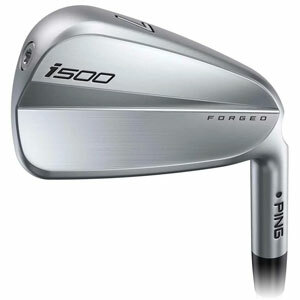 The i500 7-iron had an average distance of 196 yards, while the i210 was around 185 yards. The hollow cavity gave these irons a distinct click and the feedback to my hands was a bit clumsy. 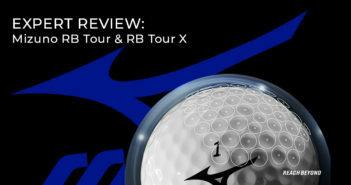 Even on pure strikes I found that I was not as much of a fan of the feel of the i500 irons as I was with the i210. Though, if you are looking for added distance from a classic-design the i500 are worth a look. When you’re hitting longer distances with your scoring irons than you ever have before, you won’t notice the slightly muffled feel.